At the turn of the 20th century, dancer Isadora Duncan discarded restrictive costuming in favor of free-flowing silk tunics, influenced by the draping of classical Greek statuary. In this workshop, legacy Isadora Duncan dance artist Meg Brooker will facilitate silk-dyeing and tunic-making. Make your own hand-dyed, silk Isadora Duncan dance tunic, and help us create costumes for April's week of Duncan dance. The deadline has passed to sign up to take home a tunic or scarf but we still have spaces available to participate in the workshop, learn the technique, and help with costumes. Isadora Duncan explored movement principles that form the foundation of an organic, supple, and integrated technique. Inspired by nature, myth, and music, Duncan was both an improviser and a choreographer, leaving a legacy of free expression in dance movement, as well as an extensive repertory. This masterclass, facilitated by Duncan Dance Project, approaches Duncan technique and repertory from a contemporary perspective. Experienced dancers will explore dynamic, whole-body movement through space, powered by rhythmic footwork and breath-supported gesture, as well as phrases from historic rep. Offered through New Dialect's Contemporary Cross Training Series. Class passes available for this and other CCTS classes. Isadora Duncan lived life as art, revolutionizing not just the art of the dance, but also the roles that women played in public life. Her life story is as sensational as her dancing. Duncan’s work evolved over the course of her life, in response to world events, including World War I and the revolution in Russia, and to personal events, including the death of her children. This film screening and discussion will highlight intersections between Duncan’s story and world events, and will include screenings of iconic dances from her repertory. Bring a lunch and learn more about her extraordinary life. Duncan Dance Project will present iconic Duncan works to the music of Frederic Chopin and Franz Schubert. These dances, including solos and duets, range from celebrations of youth and joy to mature and ethereal works. Duncan envisioned a close relationship between dance, sculpture, and nature. This program is in celebration of the opening of the exhibit “The Art of Dance” at the Centennial Art Center. Come explore the freedom and joy of runs, skips, and leaps in this workshop for young movers exploring Duncan dance and Greek myth. Learn original classwork and selected dance phrases as passed down through generations of Isadora Duncan dancers. Explore the ancient Greek myth of Orpheus and Eurydice through a structured improvisation led by Duncan Dance Project. Kidsville will provide materials and guidance to make your own leaf crown. No advance registration necessary. Experience joyous freedom of expression in this Isadora Duncan dance workshop for everyone. Explore basic walking, running, and skipping patterns and movement in harmony with nature. Duncan wrote, “To dance is to live. What I want is a school of life.” This movement workshop is open to all levels and culminates in a shared dance experience that will leave you full of exuberance and joy. Led by Duncan Dance Project. Sign up for the March 23 Silk-Dying workshop and create a tunic to wear in the workshop! 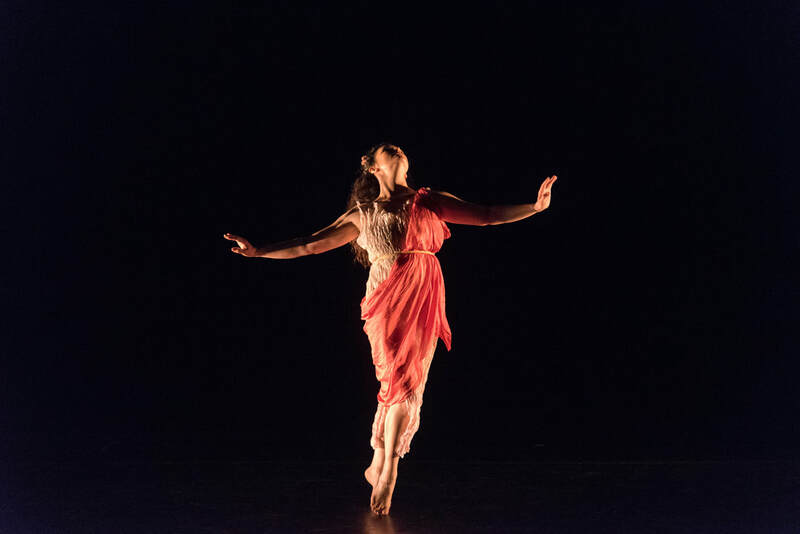 The Duncan Dance Project, in collaboration with Duncan Dance South, presents Isadora Duncan: Dances of Orpheus and Iphigenia. 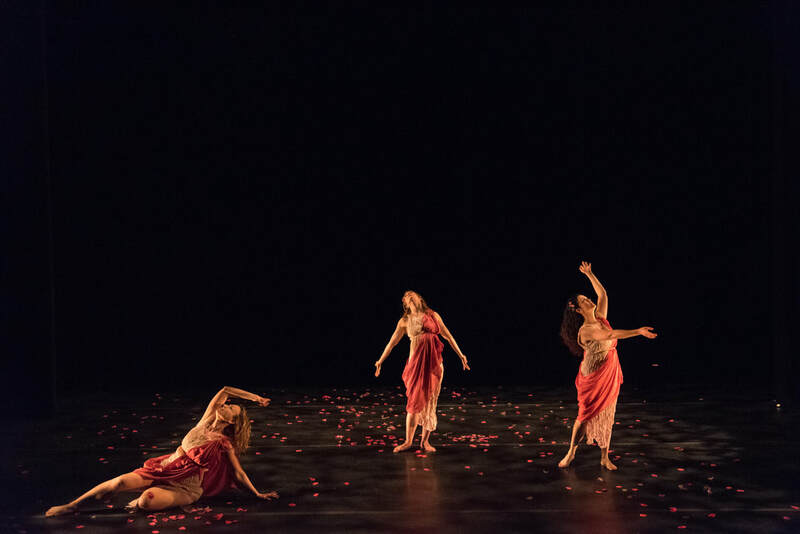 Direct legacy Duncan dancers Meg Brooker, Valerie Durham, Julia Pond, and Jennifer Sprowl, with Elizabeth Disharoon (courtesy of the Isadora Duncan Dance Company, led by Lori Belilove), perform iconic choreographies from the Gluck Orfeo et Euridice and Iphigenia operas. 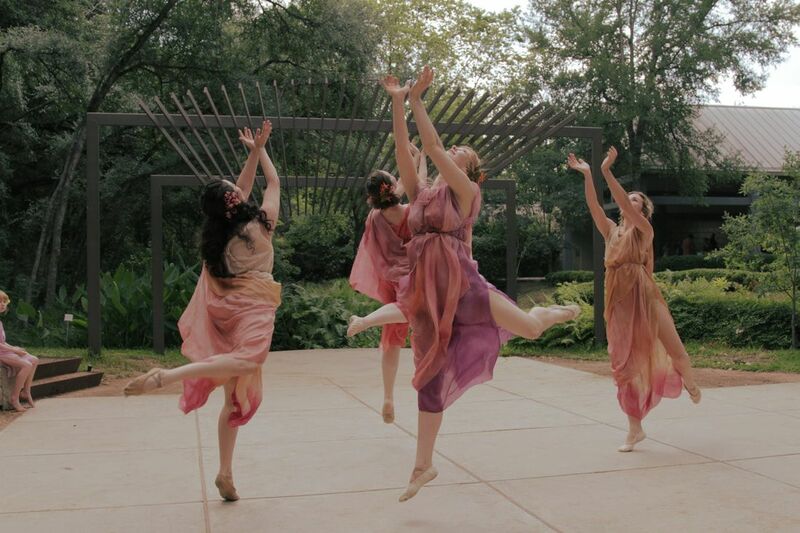 Dancing in bare feet and silk tunics and inspired by classical Greek art, myth, and nature, Isadora Duncan is considered the “Mother of Modern Dance.” This program celebrates Duncan’s Hellenic idealism by staging her works both outside and inside the Parthenon at Centennial Park. Joining the program will be dancers from Centennial Youth Ballet, Middle Tennessee State University Dance Program, and Barfield School of Dance. ABOUT THE DUNCAN DANCE PROJECT: The Duncan Dance Project creates contemporary dance work inspired by nature, myth, music, and our times. Company members are inheritors of the historic work of Isadora Duncan and artists in their own right, working with intersections of classical Duncan technique and modern somatic practice, the body in space and architecture, the intersection of art and politics, in dialogue with music, and imagery. www.duncandanceproject.org Duncan Dance South is a regional company directed by Meg Brooker, who also serves as an Assistant Professor of Dance at Middle Tennessee State University. www.megbrookerdance.com; www.mtsu.edu/dance. Duncan Dance Project dancers include Meg Brooker, Valerie Durham, Julia Pond, and Jennifer Sprowl, with guest dancers Jennifer McNamara and Elizabeth Disharoon (courtesy of the Isadora Duncan Dance Company, led by Lori Belilove).